What can we do to fix a Defense that has talented players and a solid scheme but continually underperforms as a unit???? Well there will probably be an elite D Coordinator available if he doesn’t get a HC job from his current team.........If I was Ross I would fire Matt Burke 15 minutes after the season ends, and throw a ton of money and a VIP tour of South Florida at Gregg Williams. I make sure Coach Williams understands there are no State Taxes in Florida. I also make sure he brings his family and they enjoy our wonderful Caribbean like environment and water sports. Additionally I entice Coach Williams with an assistant HC title. Gregg Williams has the knowledge and temperament to turn our defense around in one off season. He makes nasty aggressive defenses that know how to get to the QB......... “Kill the Head, and the body follows” LoL!!!!!! Let’s make this happen Mr. Ross!!! #1 We need better DL talent. It's the top need in the offseason. We already have an assistant HC in Darren Rizzi. I think we should move to a 3-4 scheme and start playing more dime, stuff like 2-3-6. That would mean a new DC. That would mean a new DC. I just don’t see us having the personnel to switch to a 3-4........If we can find that good NT type then it’s possible that we could probably run a hybrid which is something Gregg Williams has done before but regardless it’s looking like we really need a new DC. Like everyone else, I agree we could use some DLine talent too, but I don’t think that in itself will totally fix our Defense. We still have a Middle LB that is out of position way too much and we can use an upgrade at CB opposite X-Man ( who we really need to lock up long term this off season ). I'd like to chase Denzel Perryman this offseason for ILB. I have seen enough of Burke to know that he needs to go. Miami ranks near the bottom in about all defensive categories. Miami needs rushers that can get to the QB there is no longer a difference maker on this team on the line, Wake has finally slowed to average status Quinn is OK Harris has just not stepped up. The line backers are young but talented and I feel if these guys get stronger and more experience playing with each other they can be special and Alonzo seems to be playing at a higher level this year then last. If Miami could play with a lead and get more pressure on the QB who knows how many more INT's Howard could have had this year. Howard is solid Fitzpatrick is going to be great in time the safeties are set but the second corner position needs to be addressed, Mccain is not very good but neither is any of the ones that replace him when he is not on the field. I can't figure out how we are the 2nd-weakest team in sacks. Yet the second-strongest defense for INT's. Harris has just not stepped up. Always a setback when you whiff on a 1st rounder. I would've loved to have some of the guys selected after Harris. I was also disappointed when we picked McMillan instead of Zach Cunningham in R2. Who are some names to look out for as DC? Did ya'll hear Fouts throwing shade today? I LOL'd. He said something about Miami getting steamrolled 21-0 in the 1st quarter, commenting on their defense like "defense, if you can call it that." I was like damn Dan, hittin' us hard. Vance Joseph - can’t see Denver retaining him after these past couple weeks. Did a nice job before Elway plucked him away. Greg Williams - might get the Cleveland job though. Has them playing well and he might have the locker rooms vote. 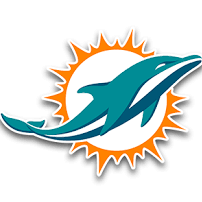 Todd Bowles - If he is let go, which all signs are pointing to that, bring him back to Miami to run the defense. The Ryan Bros - can’t believe I just typed this sometimes being away from the game helps. Not sure there personality would fit what Gase is trying to establish but Rex’s defenses in the 2000’s were pretty nasty.